Shame on me for not posting very much last year. I started out pretty strong then fizzled around mid Feb. It kind of bummed me out because I do love my blogs and I did have quite a bit to say last year. It just seems that I was going with what was more convenient like Instagram and tumblr. Oh well, hopefully I can keep some of it up for a little bit longer this time. 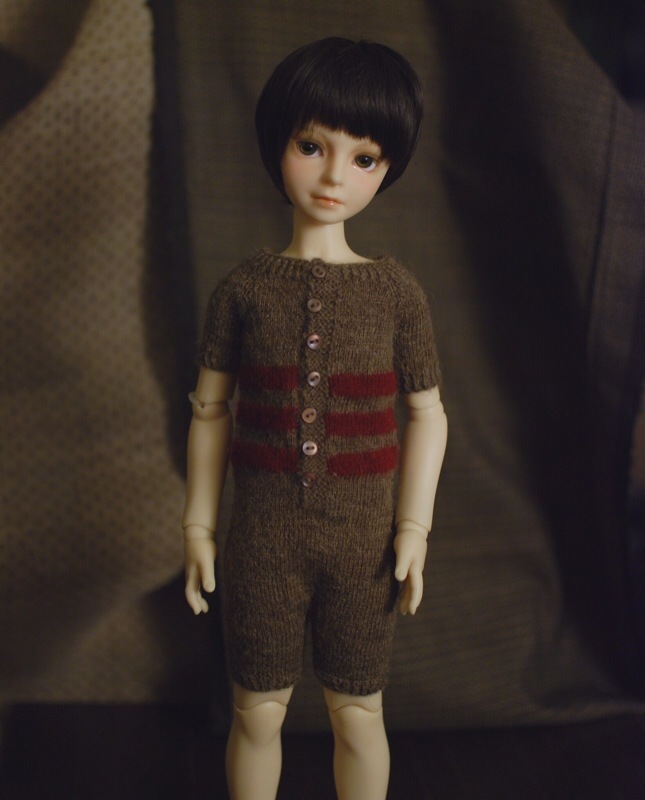 I’m starting on another major doll knit that requires loads of swatching and planning and it reminded me that I did not post about one of the large projects from last year. I was going through a silent Japanese movie kick when inspiration hit. While watching Yasujiro Ozu’s Tokyo Chorus (東京の合唱) I spotted a onesie of sorts worn by a very young Hideo Sugawara. It was a cute little one piece tank top style shorts set with stripes around the torso. 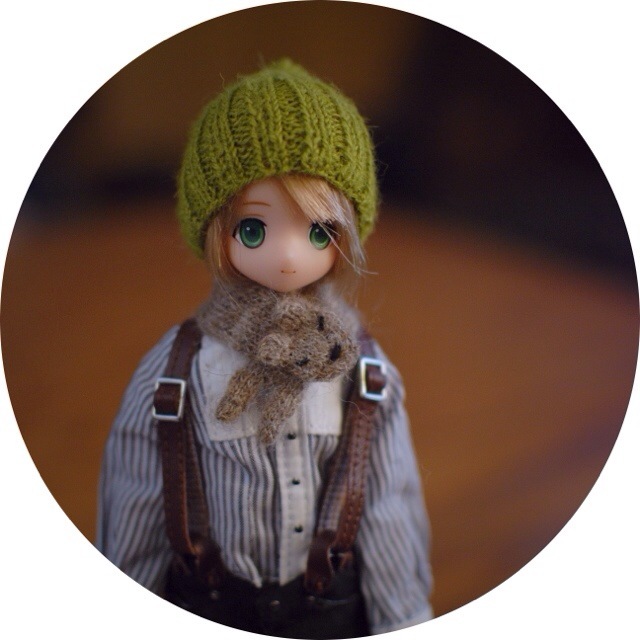 So cute that I wanted to knit one… especially after making the YoSD onesies a year earlier. It’s knitted in one piece, in the round from the bottom up. I used Jamieson and Smith 2 ply lace weight for the main color and red Habu cashmere lace for the stripes. Who would wear such a thing other than a little boy being forced by his mother?! It was honestly a fun piece to make. 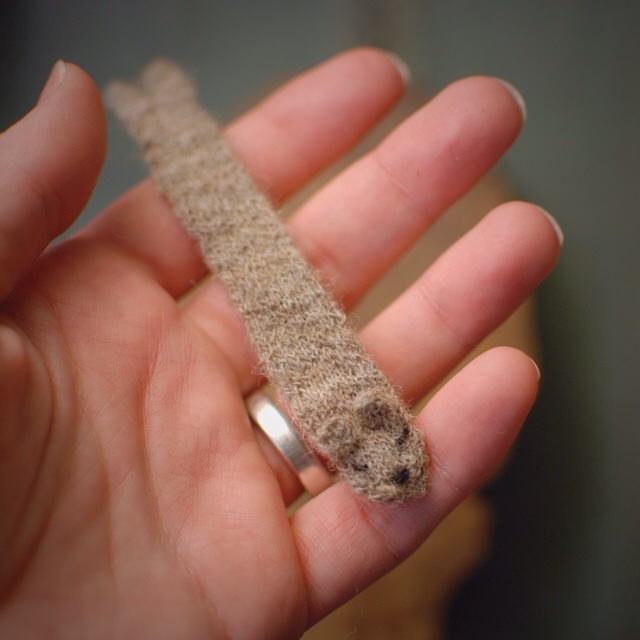 I entered it into the MD Sheep and Wool festival fiber show and it won third in the dolls and bear category. It also received some really lovely comments from the judges. I was incredible happy about this. This year I’m going back to fair isle, Scandinavian, and Icelandic designs. Seiji is my first victim. I wanted to make him a xmas sweater of sorts but things were a bit busy the later part of the year and the planning out has been a bit time consuming. I think I’ve finally narrowed down a few fair isle motifs but now I have to do the hard part and make a sweater around it. I’ll post more about that in the next couple of days. The slow start to the neemo’s room. 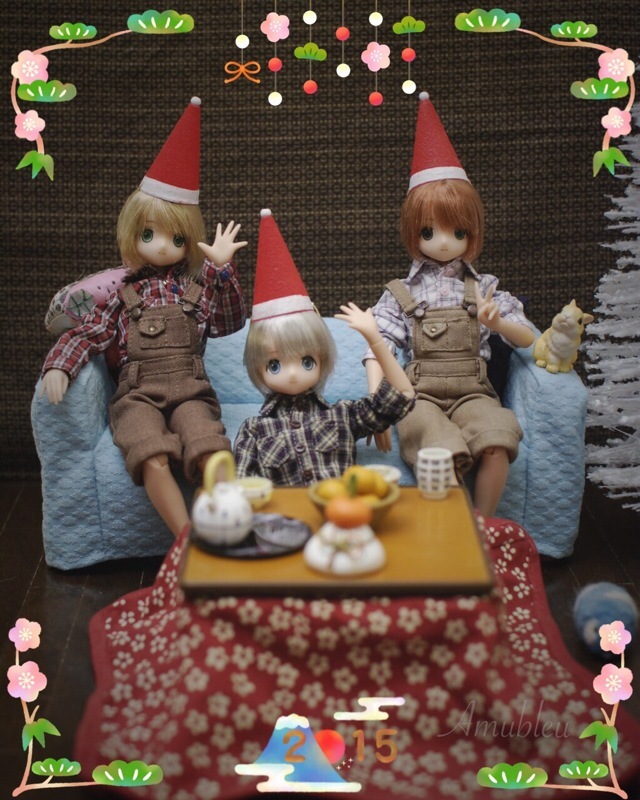 Miss Seijikat sent the Neemos a huset from Ikea this week. It’s a cute little set that comes with a couch, shelf, chair and table. 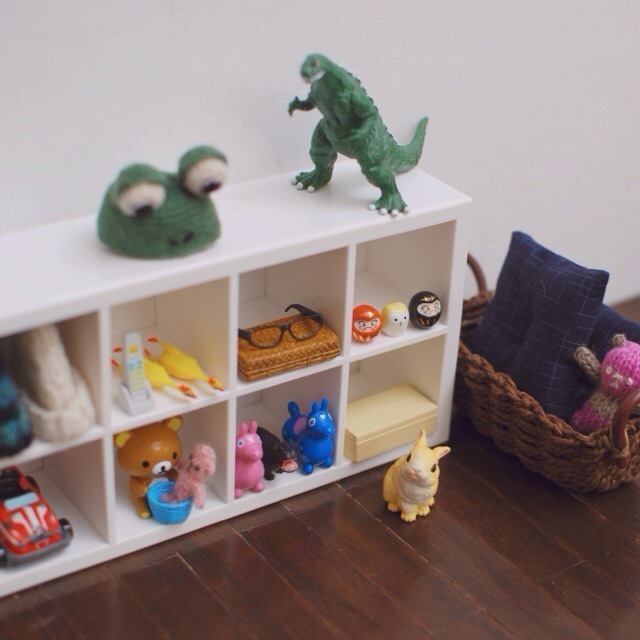 Even though all of the pieces are adorable, I have to say that the shelf is my favorite thing in the set. 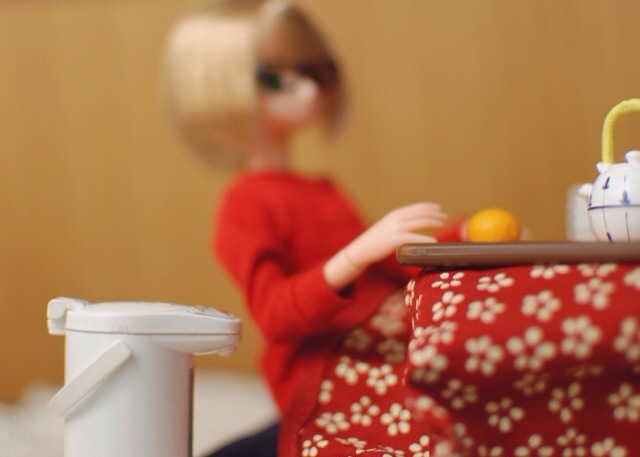 After giving it to the boys, Yuuta and Kouta had no trouble fill it up at all. I’m excited to get a room put together for them. Kouta: What if I stand on one leg and hold my breath? While watching a little Spirited Away last night this little project started to happen. Again I was in one of those weird “I want to knit some thing insanely silly” moods. Grabbing some Shetland webbing and some 1mm sized needles this is what came out. This was how far I got after watching the movie. A semi mindless knit but those teeny legs were killer. 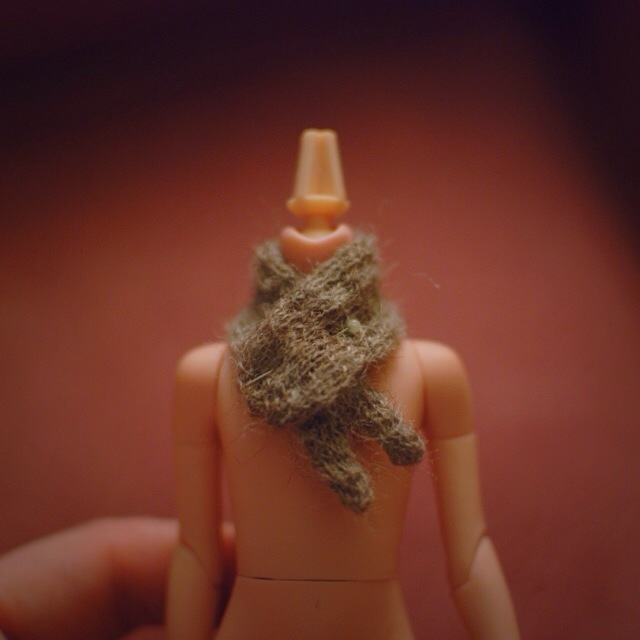 For those not familiar with the neemo dolls this photo was taken to show the size of the scarf. I can’t decide if it’s teddy enough or a bit too rodent. The Mr thinks it’s the ears while I think it’s the eyes. Either way this is just a prototype and a simple fix. 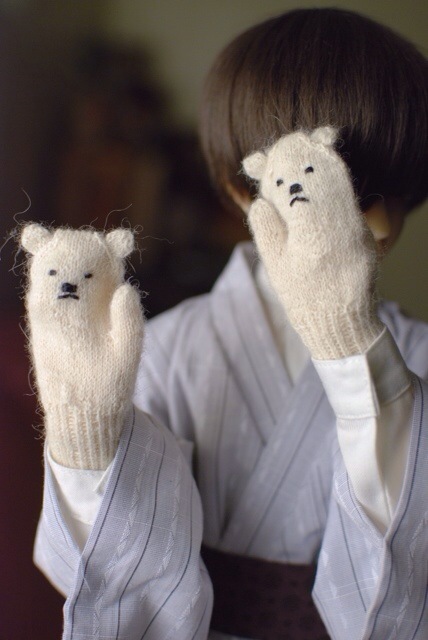 I really want to knit these in all sizes now. Azone announced on their twitter that the 16th was officially Yuuta’s birthday. 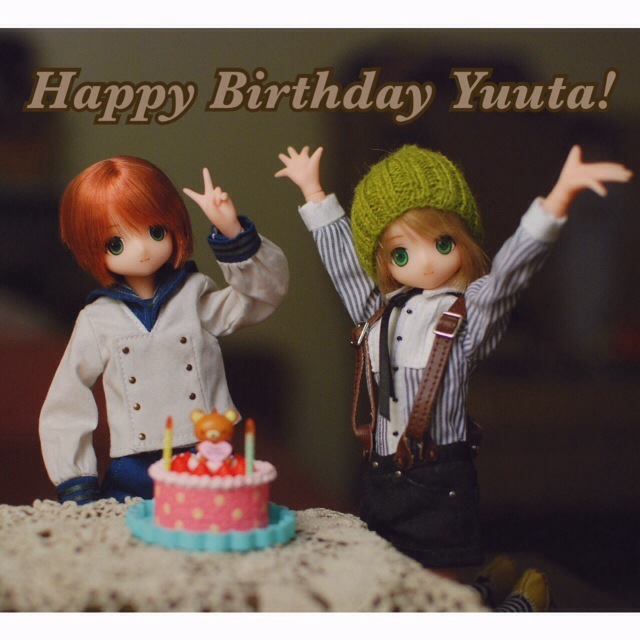 So to all those little Yuutas out there, Happy Birthday! But Daisuke… They look so cute on you!!! 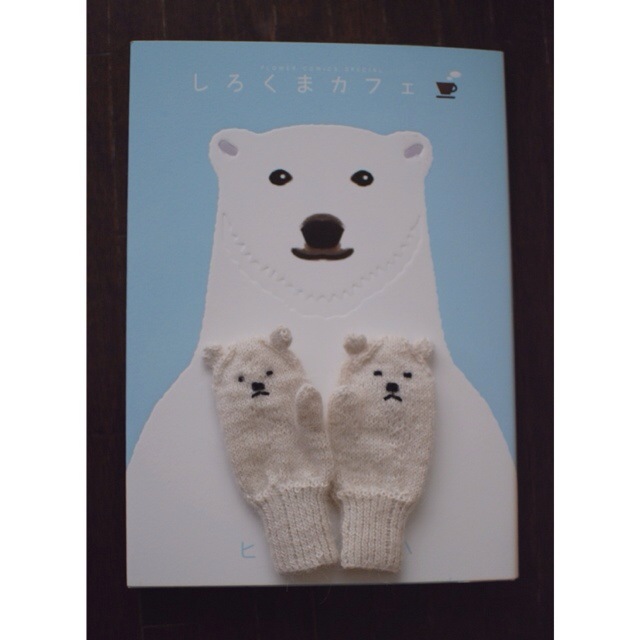 Mittens #2 Shirokuma mitts in SD13 size. The idea is totally not mine. They were inspired by a piece knitted by an artist on etsy who does human scale knits (the link to this artist will be coming soon…I have seemed to have lost it). A photo of her piece was spotted on tumblr. 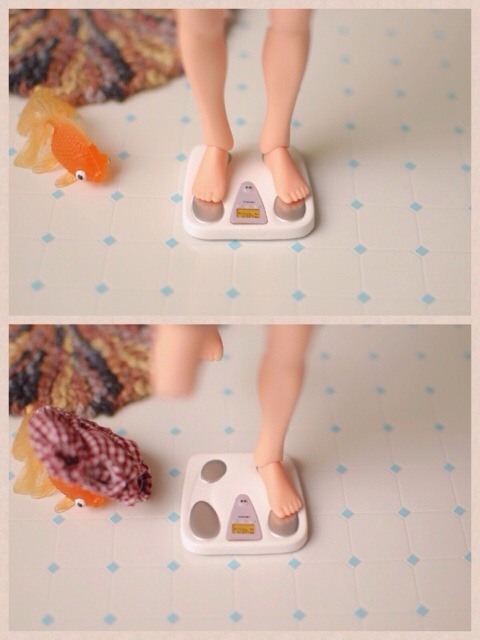 My slight obsession to a certain anime and manga told me they needed to be made to doll scale. They turned out cuter than I had expected. I’m not quite sure who will be wearing these but they won’t go to waste. So I apologize for the random Japanese found on the blog. The Mr and I have been studying Japanese for a few years now. We have a wonderful instructor who has been working with us but I feel like I have hit that stage where I’m stuck and not making much progress. So this year I promised myself that I would try extra hard. So one of the things is to use the language as much as we can everyday even for the little silly things like blog post titles. I’m also in the process of translating the manga shown above with help from Yoko-san (Omg, so challenging!!!). 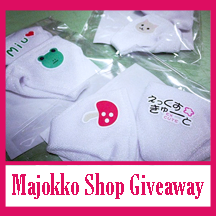 Comments Off on The Majokko Shop givaway!